Whether you live within the Parish, work here during the week or reside on the other side of the world and have only seen us from a distance, you can still be involved in the prayer life of the Shrine. You might like to have a Mass offered for yourself or a loved one, or you would like a Sanctuary Lamp burnt for a particular intention. You can request an intention by visiting the relevant page on this website and making a donation through PayPal. Corpus Christi is also home to the Sodality of the Blessed Sacrament. 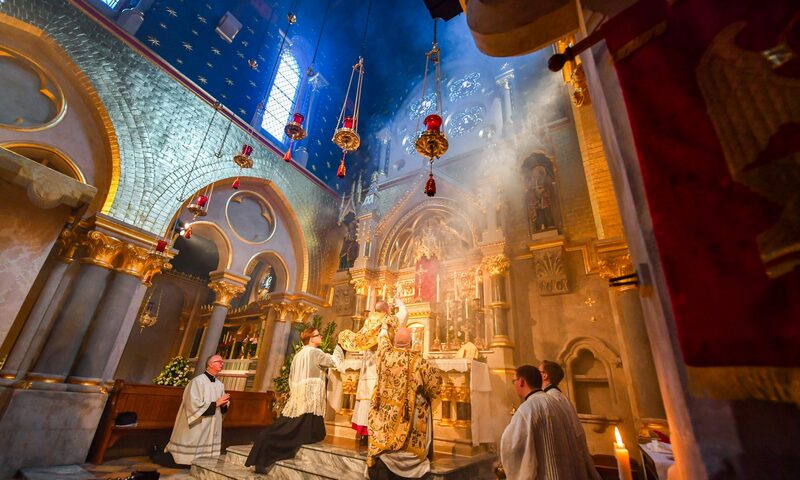 The Sodality is a Confraternity dedicated to honouring Jesus Christ, Truly Present in the Blessed Sacrament. Mass is offered once a month for the intentions of members and a different guest preacher is invited each month. Find out more and sign up online today!